Pros: Very cozy, soft fuzz, athletic cut, excellent fit and finish. Cons: No recycled or natural materials, standard color scheme, attracts stickers, wrist elastic could be too tight. The Monkey Man has been discontinued. However, we have a complete review of fleece jackets that we regularly update. The Mountain Hardware Monkey Man is one of our favorite fleeces due to its outrageous comfort and flattering cut coupled with solid construction and appealing fuzziness. A refreshing simplicity of construction distinguished the Monkey Man - every panel serves a purpose. The snug, athletic fit was a pleasant surprise to our tester, long accustomed to boxier outdoor wear. The Monkey Man offers excellent fit and finish with no loose threads or uneven seams. Attention to detail includes elastic in the collar a nice touch that keeps it from flopping too much a zipper garage to keep cold metal away from your chin and adequate pockets. The comfort and approachability was outstanding, making the Monkey Man one of two fleeces that had total strangers walking up just to touch the fuzzy fabric. The athletic cut is ideal for thinner body types and is a nice change from blockier designs. No drawstring at the waist was one less thing to fiddle with and didn't seem necessary. As with most outdoor gear, the logo was a bit obtrusive. The wrist elastic could be tight on folks with larger arms. Don't set it down in the grass you'll never pick all the stickers out. Both the Monkey Man and the yellow Patagonia are poorly suited to foggy climates, making the North Face brown softshell a better bet that offers the same clean look for way less money. The Monkey Man is suitable for a wide range of applications. Climbing and bouldering, there's little to snag. 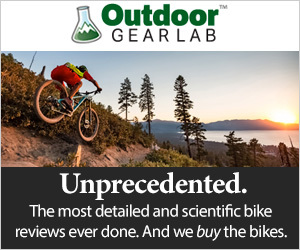 Mountain biking or running, it breathes well. Lounging, you can't beat it. It would even work on the town, with random people wanting to touch you (if that's your thing). If you want a hood, check out the Mountain Hardwear Monkey Man Lite. On a trip to the Northern California coast to harvest seaweed the fleece got damp from combing water out of the fog. I ended up with a micro-climate raining on my feet and wanted the Patagonia hooded softshell. I was dry and warm inside but on a longer day or trip it would have been a hassle. A worthwhile buy if it's all you can afford and need to get outside and play. May last a long time if cared for well. MooseJaw $139.99 - 20% off!